Today we define a term that we've heard used all of the time: crepe. It's a silk, wool, or synthetic fiber that is known for its crisp and crinkle appearance. Depending on the material, it can be stiff but that can be a blessing when you want a piece with a bit more structure. Let me show you what I mean. OK, so unclear where this model is going in a blazer and her bellybutton but that aside this is a fantastic spring blush blazer. 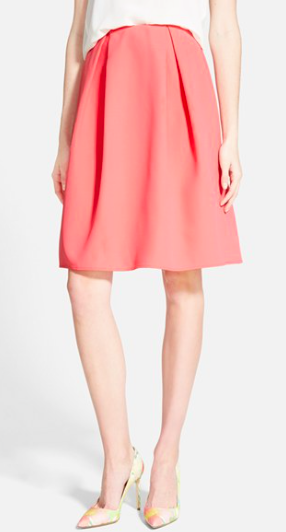 A very relaxed pleat that has a casual cool vibe. 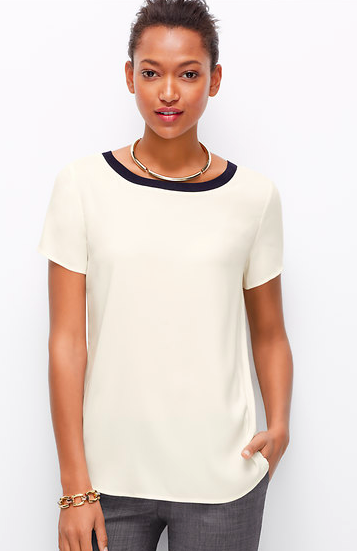 I love a structured but not constricting top for work. This top is a great base or where as is with a statement earring. I can't even with this beauty. It looks red carpet but when you feel it, its a cotton crepe. In a stunning merlot. Crepe is an often discussed textile with no real understanding of what it is or when to wear it. I really like this material for spring because it's structured, ready for work or play, and it's is 99% of the time machine washable.